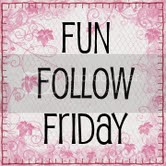 Testing Trisha ~ Single parenting at its finest: Follow / Aloha "Friday" - Do you use Coupons? Follow / Aloha "Friday" - Do you use Coupons? 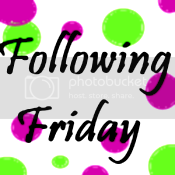 If your my newest Follower, Thank You, please leave me a comment with your blog URL and I will follow you back! Also check out this weeks Aloha Friday question below! I am following you back from Hop Along Friday. Have a great weekend. Thank you so much for joining us for Friendly Friday! Have a great weekend! I'd like if if you'd visit me! Thanks! I'm following your blog, facebook, twitter and networked blogs. Found you at Friday blog hop. Thanks for the linky and the blog hop directory. I print and cut out e-coupons and put coupons on my Safeway card sometimes. I miss the coupons in th aisle that the commissary has. I wish civilian grocery stores did that. Yes, I do. I always buy the Sunday newspaper and clip away! I use coupons occasionally, but should really try to use them more often. I tend to buy a lot of whole foods or organic foods, and there aren't a lot of coupons out there for those. However coupons would be a big help on health and beauty products. What a great blog and I love your title and header. I've been hopping all morning and now I don't know which hop I've come from - old age has got to me you see! I'm following you on Networked blogs and Twitter.Off to explore your blog further before I get hopping again. Please do drop by if you fancy a laugh I'd be delighted to welcome you. Warning I am a vision of the future! 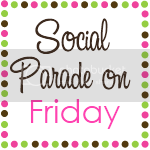 I am your newest follower from Social Parade Follow on Friday Blog Hop! I use coupons - only on items that I normally buy anyway. Thanks. I am your latest follower. hiyas..Visiting via blog hop...love the title and the design. To answer the question, I use coupons when I can remember I have them. Yes I proudly do. I get the paper for coupons, print them off line, use store coupons, and I also follow quite a few blogs that get coupons and prices for certain stores. Believe it or not I once saved $178 dollars at the commissary on Fort Carson in Colorado. I am a couponer for sure! Can't go without them,! I use to until I realized I was either forgetting them or buying stuff I did not need or want. Your header image is awesome! Newest follower. I actually would bring the coupons to the store and forget to use them. It made me look silly in front of my wife! What helpful things you have for us. Now following from todays hop...drop by undeserving grace when you get a chance! I try my best to use coupons. My dad gives me the coupons from his paper every week. I do if I can! I like HEB because they have a ton of coupons there. i am a new follower. come on by my place and follow me too if you like. hope you have a wonderful weekend. Hi! Im a new follower too! Would luv the follow back! I love coupons and think they are great. I clip the ones I can use and recycle out the rest. I know some people who go crazy and buy a ton of things they don't need just because they had a coupon. Interesting blog! I am from Fridays' Blog Hop. I am a new follower and hope that you can follow me back. Thank you for sharing. I am now a follower from the blog hop! Love the site! Please follow back! I always make sure to print out coupons as well as clip them out online. I usually save $100 when doing major food shopping. I think if people do not clip coupons they are paying too much money and even waiting some because they can get it at a much cheaper price. I use coupons but not consistently enough to be a big help. I have a tendency to forget about them and then they expire - sigh. YES , I love to use coupons! new follower! Glad to have found you via the hop! 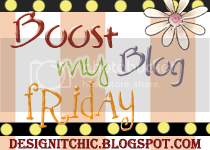 Stop by & visit my blog at http://momto2poshlildivas.blogspot.com. Would love a follow back! 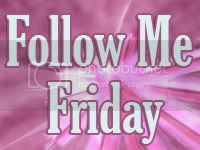 I am your newest follower from The mom Road Follow Me Friday. Hope you have a wonderful weekend!! I don't use them a lot at least if they save few cents or one dollar, but when i found valuable coupons 20% or 50% i won't say NO. Do you need Free ticket to ALASCA ? I sometimes do, but not all the time. hello. following from the blog hop. you can find my blog at.. I'm a huge coupon shopper, I almost never go to the store without coupons. Last week I spent $44 and saved $55 with my coupons and BOGO savings. WooHoo!